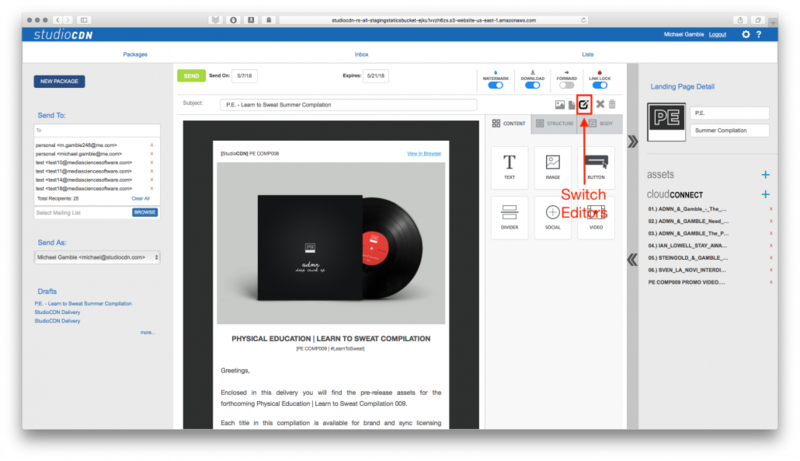 Switching Between the Standard and Advanced Email Editors in the Package Editor: Thanks to a recent update we have added the ability to change between the StudioCDN Advanced and Standard Editors directly from the StudioCDN Package Editor. To change between the Standard and Advanced Editors simply click the editor button *. *Please Note: When switching between editors some mark ups may not be saved.